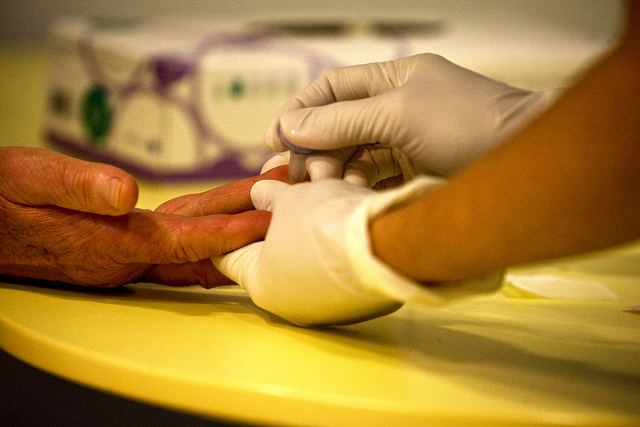 This article is part of our special report Diabetes: The next global challenge. 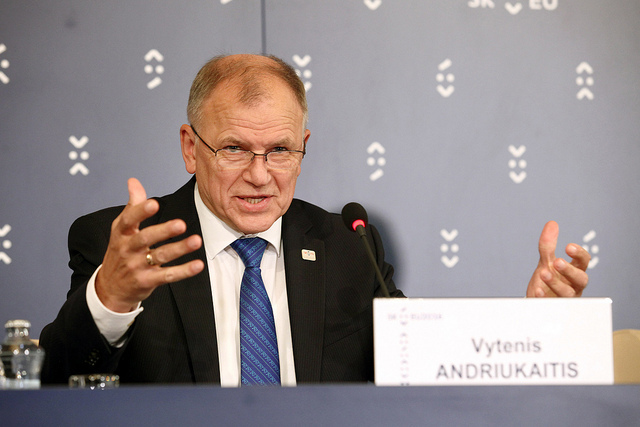 Vytenis Andriukaitis spoke with Sarantis Michalopoulos. What has the Commission already done and what is it planning to do regarding diabetes? Do you think that an overall approach is needed? The rising rate of diabetes clearly calls for extra efforts to promote good health and prevent chronic diseases such as diabetes. Experience has shown that simple changes in lifestyle can be effective in preventing or delaying type 2 diabetes. These include maintaining a normal weight, regular physical exercise, and a healthy diet. The Commission is keen to support member states in tackling the risk factors in a holistic manner. Can you cite specific examples of EU action in this area? Yes. In 2008, one in four children aged six to nine were overweight or obese. By 2010 this figure rose to one in three children. This worrying trend led, in 2013, to EU countries jointly developing a European action plan targeting childhood obesity. The action plan puts forward initiatives to support a healthy start in life, promote healthier environments – especially in schools and preschools – restrict marketing and advertising for children, encourage physical activity and increase research. In addition, the Commission has made substantial progress in supporting member states on food reformulation. My aim here is to create conditions for products low in salt, sugar or fat to be available in any supermarket, anywhere, at affordable prices. This is important to give citizens a real chance to make healthy decisions. For this to happen, companies need to introduce innovative, healthier products and compete in a fair marketplace. This is why we have supported the member states in agreeing to voluntary targets to reduce salt, saturated fat, and, more recently, added sugars. A monitoring system to make sure such products are brought to a supermarket near you has been devised. I call on all member states to have national reformulation plans by the end of 2017. Moreover, the CHRODIS Joint Action launched in 2014 is addressing chronic diseases and promoting healthy ageing across the life cycle. It aims to help EU countries and regions evaluate and exchange good practices in tackling chronic diseases. A special focus is given to health promotion and disease prevention, multi-morbidity (people with more than one long-term condition) and diabetes. I will be closing this programme next year and intend to continue using the health programme to support the promotion of good health, as well as prevention and management of chronic diseases such as diabetes. So, what is your message for EU member states? Unless we start raising a generation where healthy food and physical activity are ingrained in habit from a young age, we will raise a generation of children who are ‘fat for life’, and health systems that are struggling to cope. By focusing on promotion and prevention now, countries can reduce rates of chronic diseases and the associated costs to health systems in the future. My message to all member states is to work together, learn from each other and develop common evidence-based strategies to curb the rising rates of obesity. We need to work across national borders and across policies (for example, health, education, research, transport, agriculture, etc.) to make a difference. My deepest wish is to see a radical shift from the treatment of diseases towards promotion of good health. We have solid evidence that this works, and we must work together to put this evidence in practice. What are the perspectives in eHealth innovation? Can eHealth completely transform the management of chronic conditions and help diabetes patients to live longer and healthier lives? I am convinced that the right eHealth tools offer safe and efficient care and can help adapt our healthcare systems to the rising rates of diabetes and other chronic diseases. New eHealth solutions can enable diabetic patients to monitor their own blood glucose levels, transmitting the information electronically to their healthcare specialist. I believe that eHealth has the potential to make European health systems more accessible and sustainable and to empower patients to manage their own health. So I will make it my personal priority to continue this work with my colleagues in the Commission, our stakeholders and member states, to maximise the potential of eHealth and bring it to fruition. The Commission points out that health promotion, prevention, and early detection are essential for an effective approach to the issue. Do you think that more should be done in this regard? We need to radically shift our attention from the treatment of diseases towards the promotion of good health. We need to focus much more on promotion, on keeping healthy people in good health for as long as possible. As policy-makers, one of our biggest challenges is to tackle the increasing demand for healthcare, which is mainly caused by the growing burden of chronic diseases. And yet, we only spend an average of 3% of our healthcare budgets on health promotion and disease prevention strategies. This is not enough. The more health systems invest in prevention now, the less they will pay for treatment in the future.